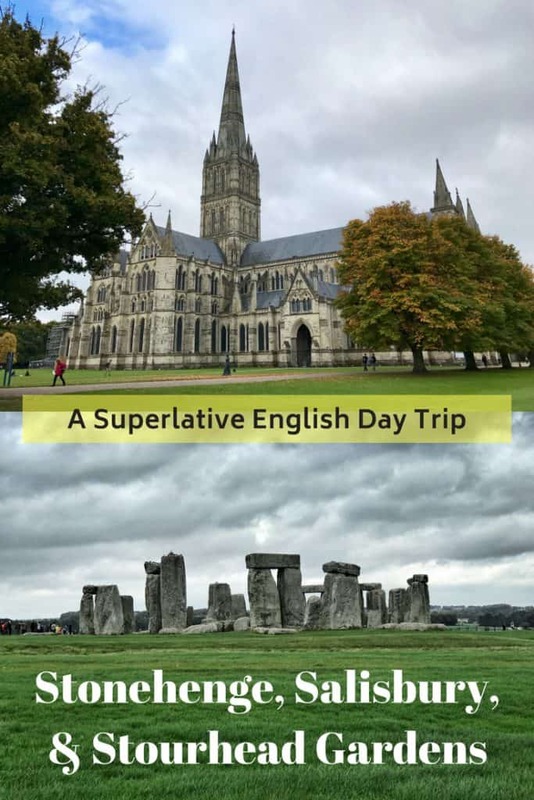 You’re spoiled for choice when it comes to English day trips, particularly a day trip from London. 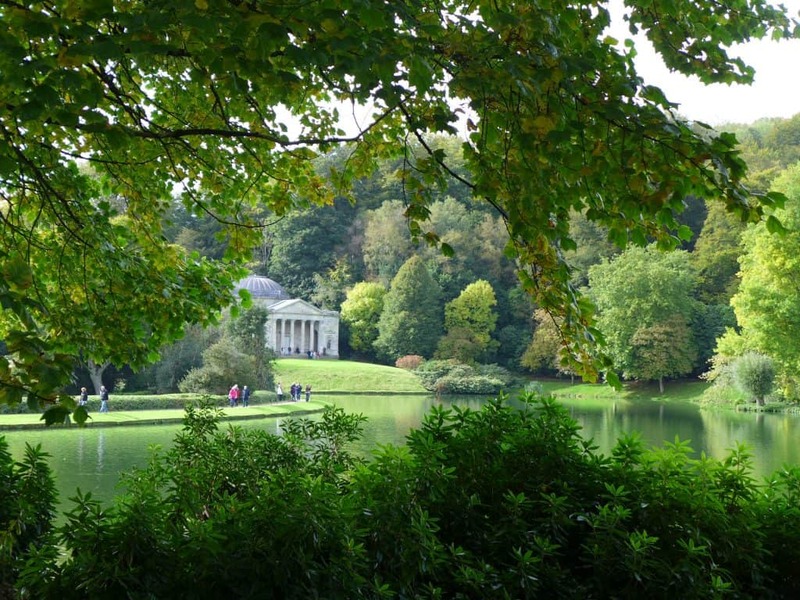 But after trying several in my two-week stay, I’d have to argue that the combination of Stonehenge, Salisbury, and Stourhead Gardens are one of the best you’ll find. 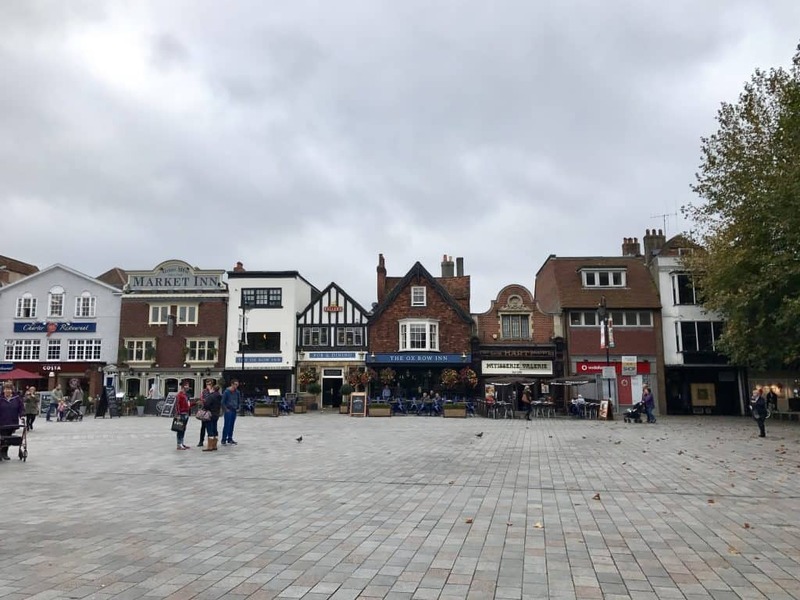 For our trip, we were finishing up our time in England with a brief (maybe 16 hour?) 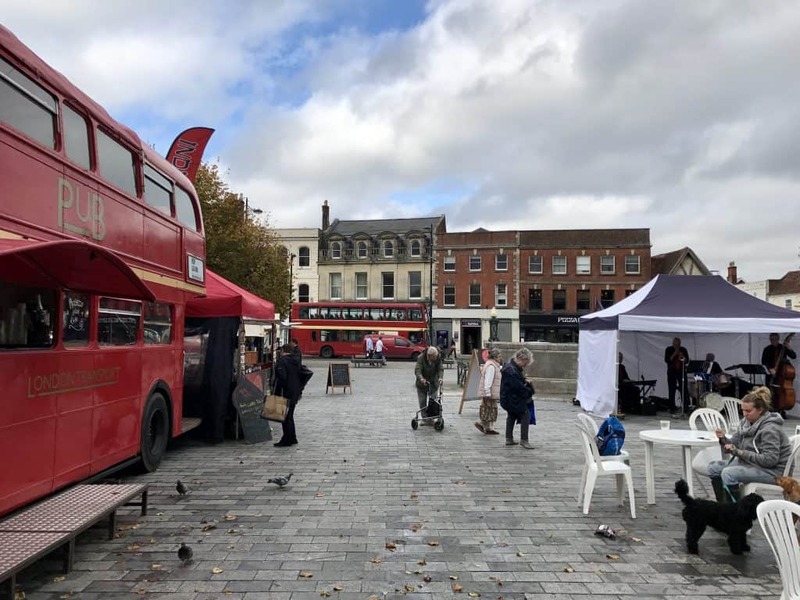 stay in charming Bath, and then driving on to London for a day. 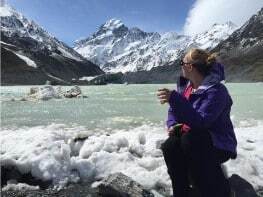 These three sites are perfectly positioned between the two, and can be an easy day trip from either city, or a day’s tour and drive between them. Why these three alliterative sites? With literally dozens of options for stops and sites, why have I picked these three to put together? 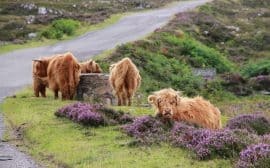 Well first, they’re just close together, and so are very easy to visit. And just note, if you’re looking to do all three, a rental car is your best bet. 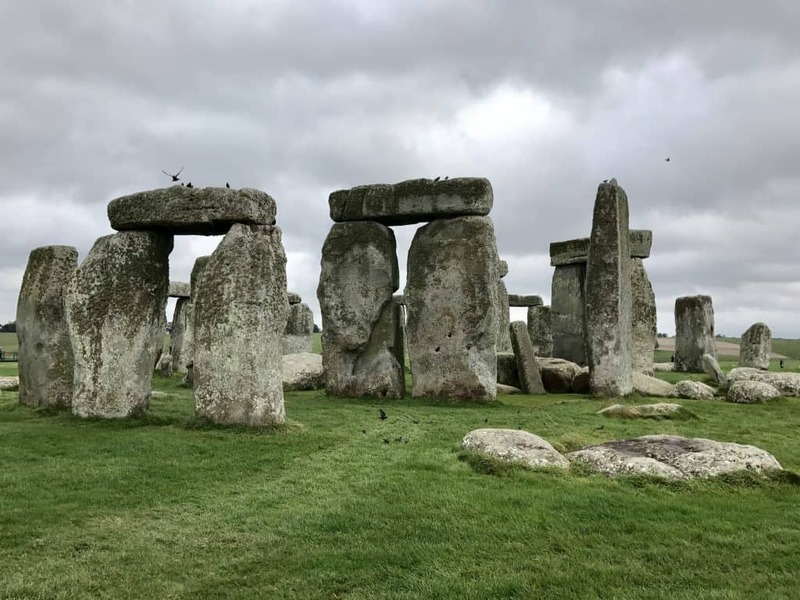 However, because of the popularity of Stonehenge and Salisbury, you could easily catch a bus tour day trip from London if you’re not planning to rent a car. 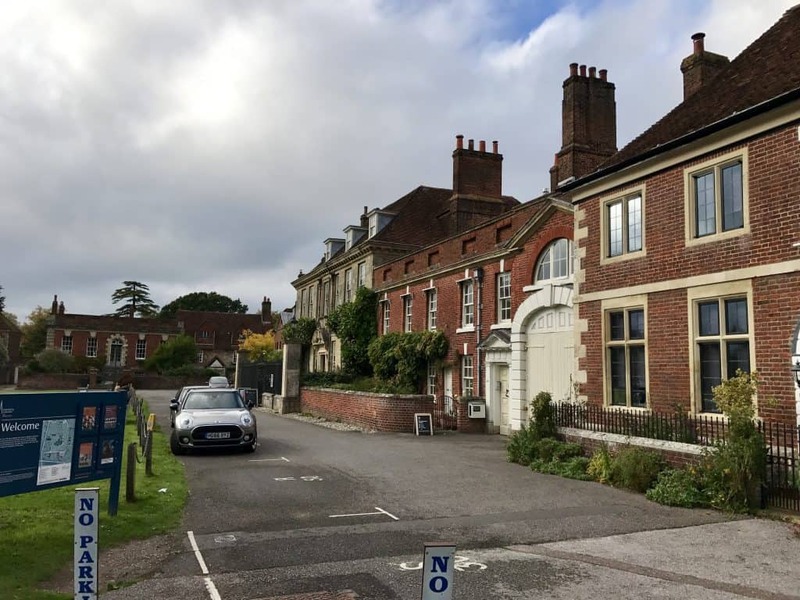 Also, in my opinion these three together give you a perfect mixture of ancient history, slightly less ancient history, beautiful architecture, and lovely English countryside and estate gardens. This is very much a “choose your own adventure”. The great thing about all three of these is that they’re pretty close together and quite central. That means they can be done in any order depending on where you’re coming from. 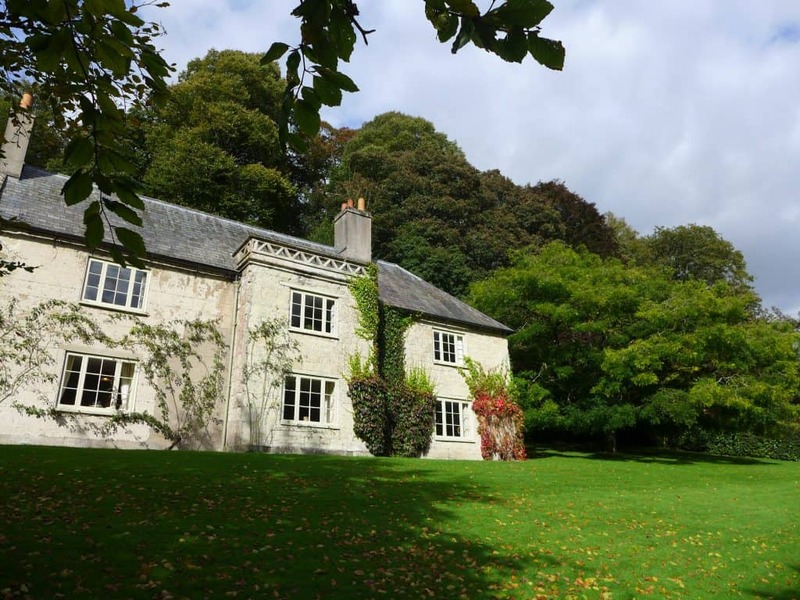 They’re accessible from the south of England if you’re staying there, but make super easy day trips from London or Bath, among others, or a great day’s itinerary if you’re traveling *between* London and Bath (or dozens of other locations). 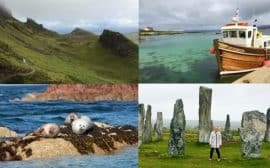 You could even do it as a day trip from the southern coast. Here’s a map giving you an idea of relative position and distance. 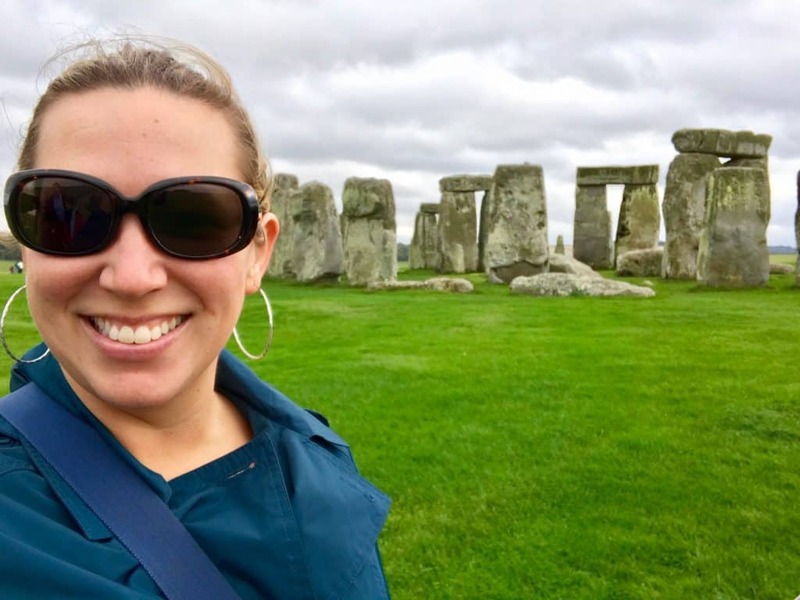 I’ll admit that Stonehenge wasn’t a “must” in my book, because it seemed like it would be so crowded and Disney-like. 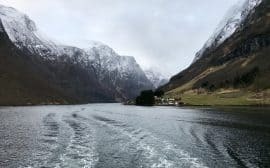 But since it’s literally just off the highway (you can actually *see* it from the motorway), it seemed silly not to stop when we were so close. Like any other popular tourist attraction, the ticket price is pretty high (close to 20 pounds) and there may be a parking fee. You can see opening times, ticket prices, and more at the official website. All that said, I actually really enjoyed our visit. Abigail and I kept up a brisk pace because we were on a bit of a time crunch, listening to the highlights of the audioguide (which is super thorough) but then skipping through some parts. The crowds weren’t bad at all…it probably helped that it was mid-October, so not high tourist season. 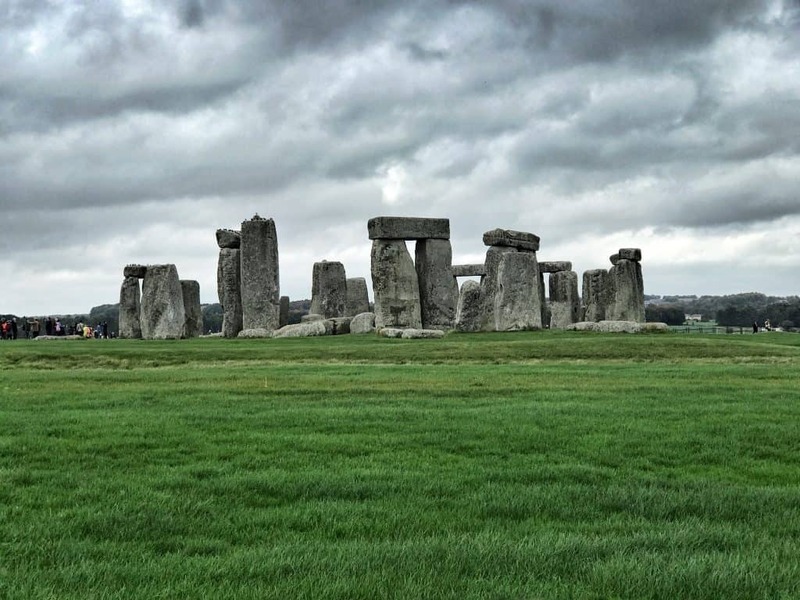 It was a gloomy morning, but it lent an air of moodiness to the ancient site. 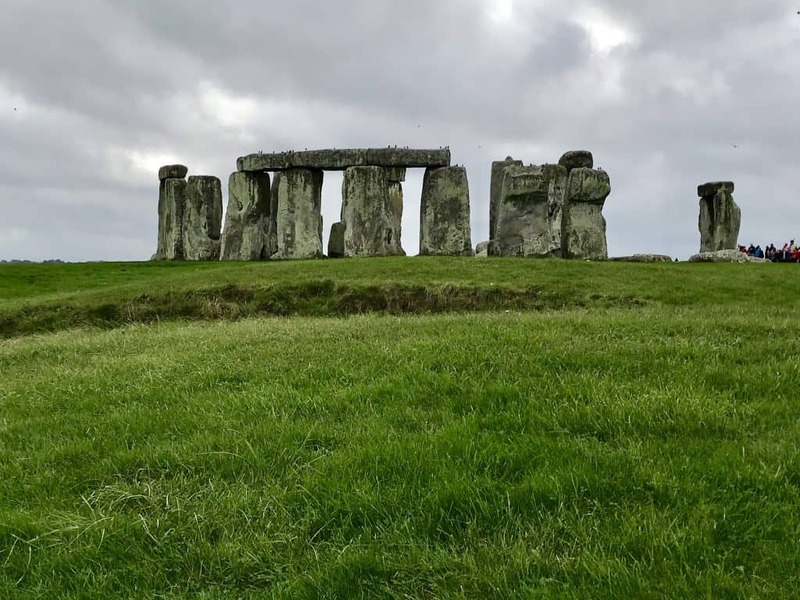 If you want an interesting and brief primer on some of the cooler historical points, I recommend Mental Floss’s “15 Monumental Facts About Stonehenge” article. 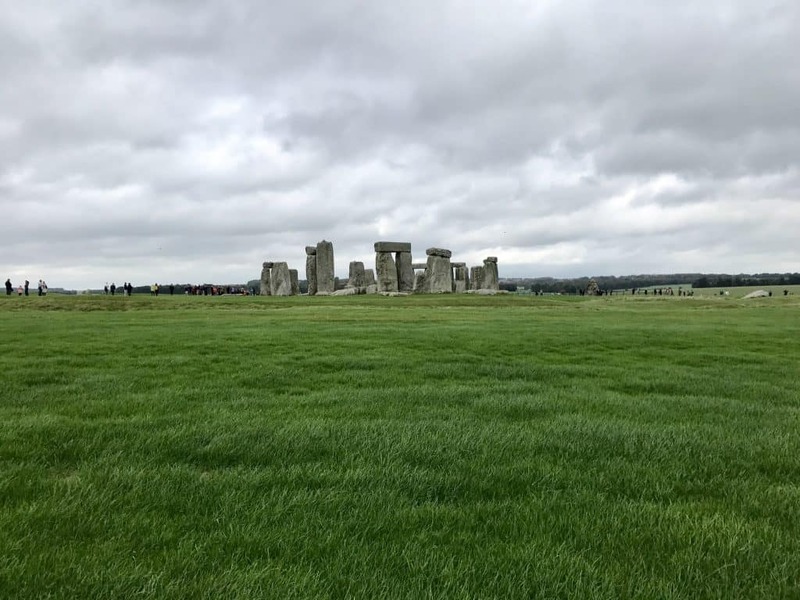 Once you park and get your ticket and audioguide (which is free), you’ll wait in line to board a shuttle bus over to the stones. I think they come every 10-15 minutes, but it depends on the time of year. 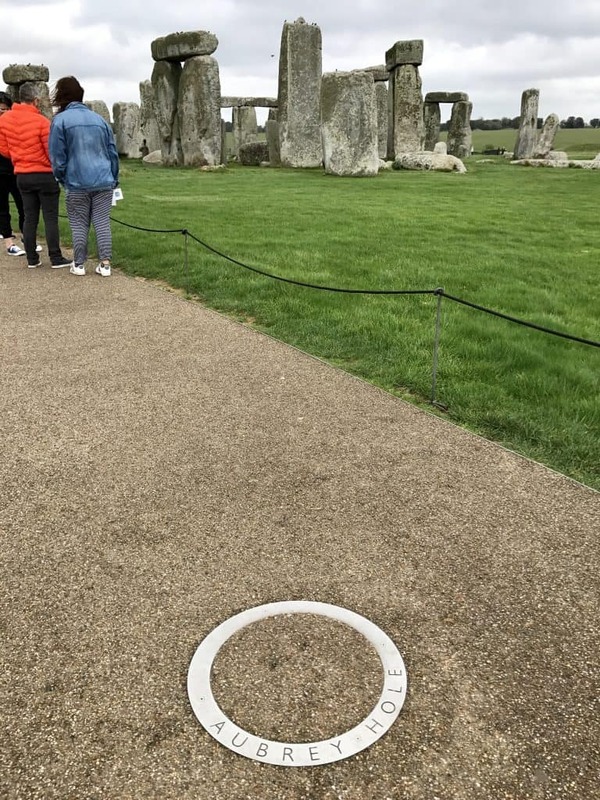 Once you get there, you’ll walk on a designated path around the stones (we went backward, against the crowd). 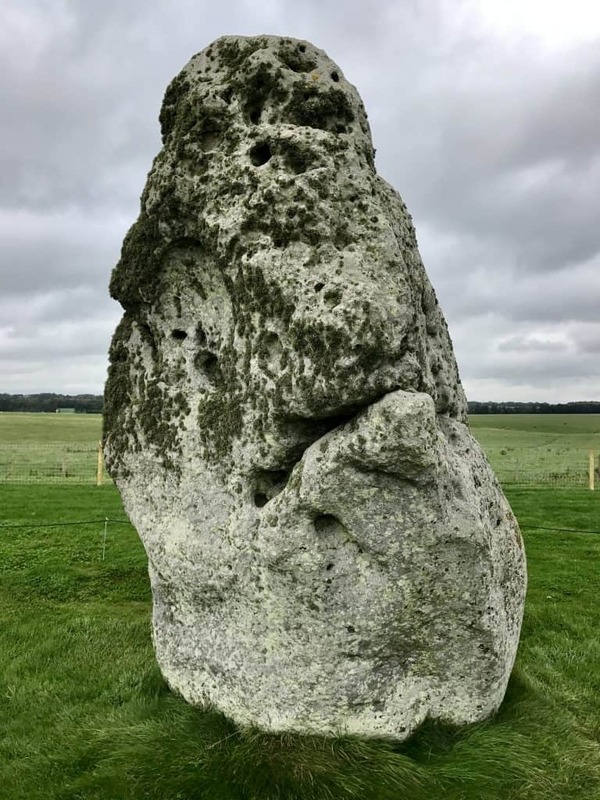 In all my pre-trip research, I kept hearing people lament that you couldn’t get anywhere near the stones anymore, and so I was worried that it would all feel very distant and not worth it. But in my opinion you can get plenty close (as you can see in the pic below). Tourists used to be able to walk right among them (and you can still pay through the nose for a special VIP tour, which books up way ahead of time) but people weren’t respecting the site and it was causing serious damage, so in the 1970s they stopped allowing this. 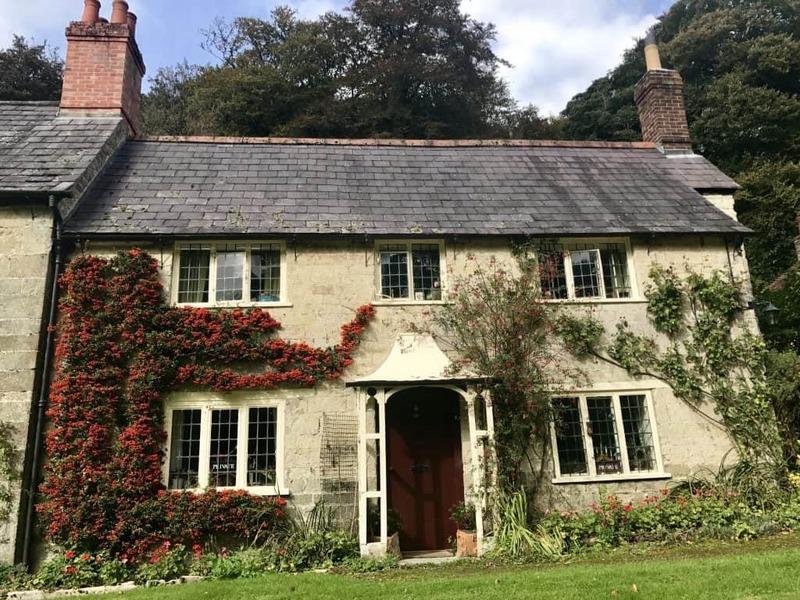 Also, quite a few enterprising people have found ways to try and avoid the steep entrance prices (or do it on a very tight timeframe), so feel free to explore their advice if you wish. We didn’t do this, so can’t advise whether it works. 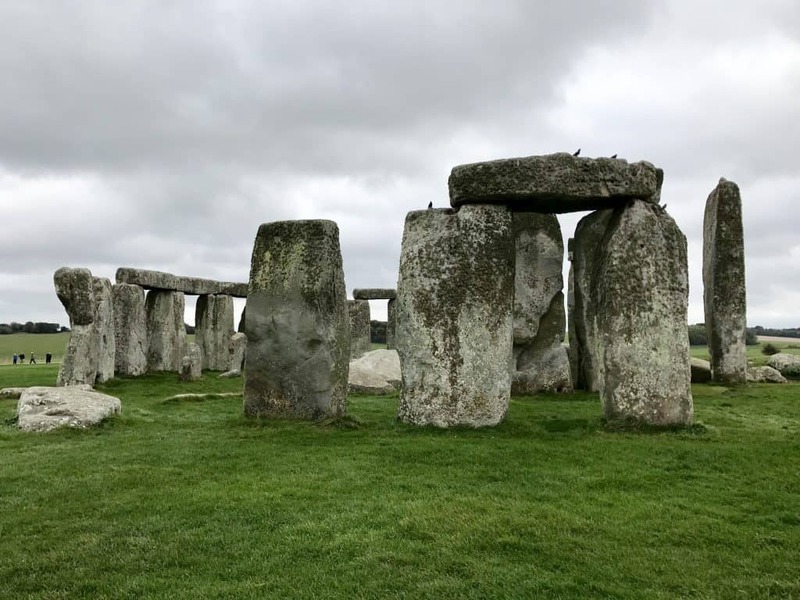 After we had soaked up our fill of mystical ancient standing stones, we continued our London day trip by driving about 15 minutes into nearby Salisbury. We were meeting Abigail’s roommate’s friend, Joel, who lives there. For ease, he told us to park in this massive public parking lot on the outskirts of town (there’s a big grocery store there too) and then we walked 5-10 minutes into the main town square area. 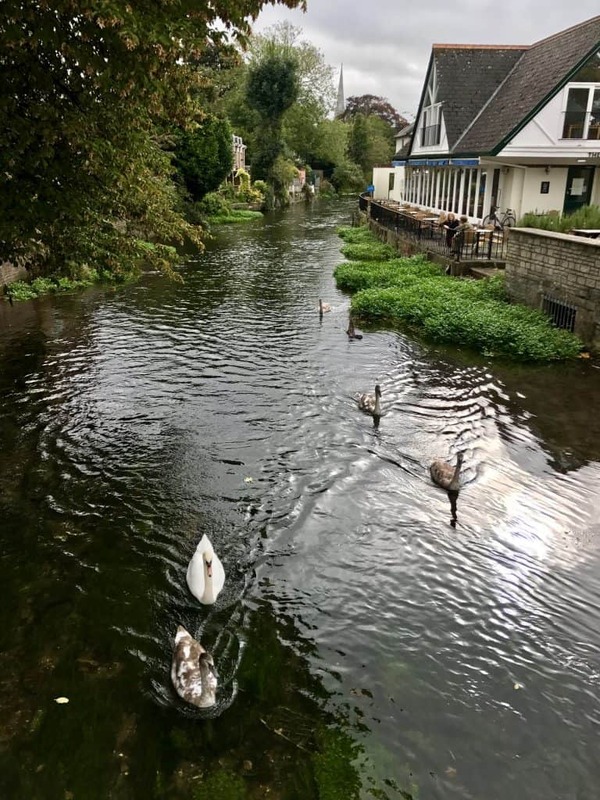 Salisbury is SO cute! Joel took us on a brief tour through the main area, and I was just thoroughly charmed by all the little buildings, the historical details, and this cool little Friday scene happening in a square. There was a jazz quartet and food (and drink) trucks, which was handy since I was absolutely starving. We grabbed some lunch and a drink and people watched for a while. Then it was on to the main event, Salisbury Cathedral. 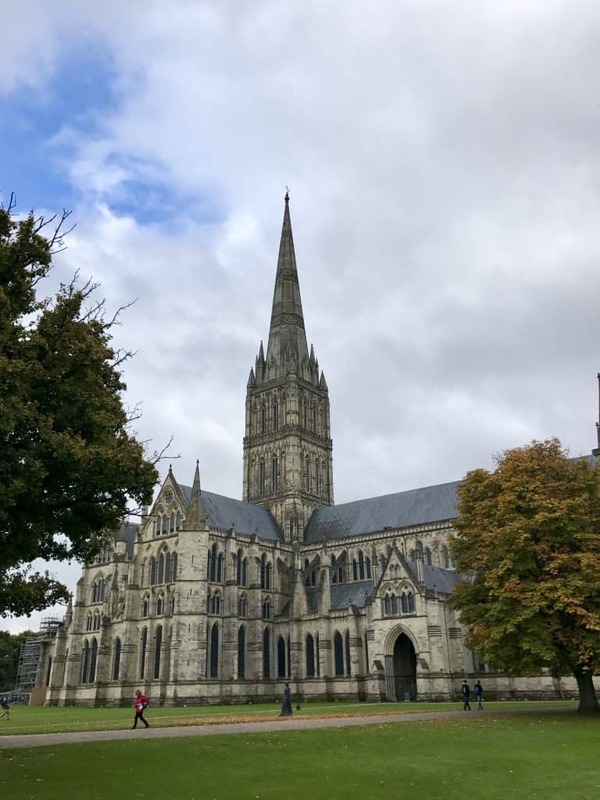 Why should I care about Salisbury Cathedral? 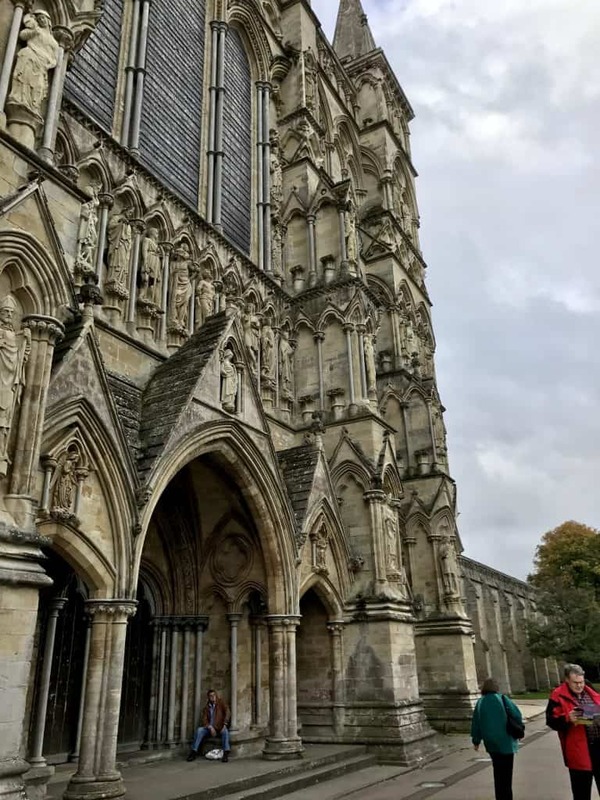 Yeah, there are a lot of cathedrals in England, but this one is definitely special. 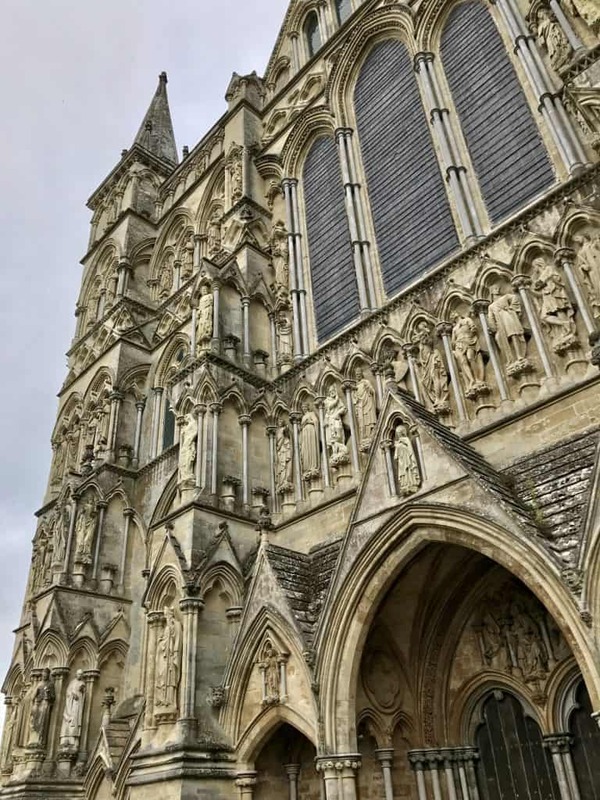 Built in the 1200s, it’s a great example of Early English architecture, and has had the tallest spire in England since the 1500s. It was actually relocated at that time from a church in Old Sarum, nearby. Legend says that the Bishop of Old Sarum shot an arrow in the direction he planned to build the cathedral, to determine its location. 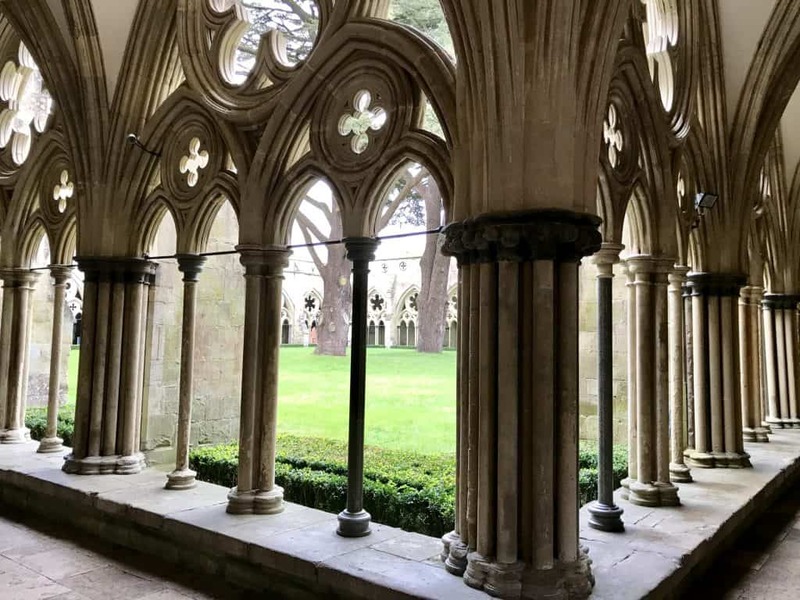 The arrow hit a deer that died in the place where Salisbury Cathedral is now. That’s just weird, guys. 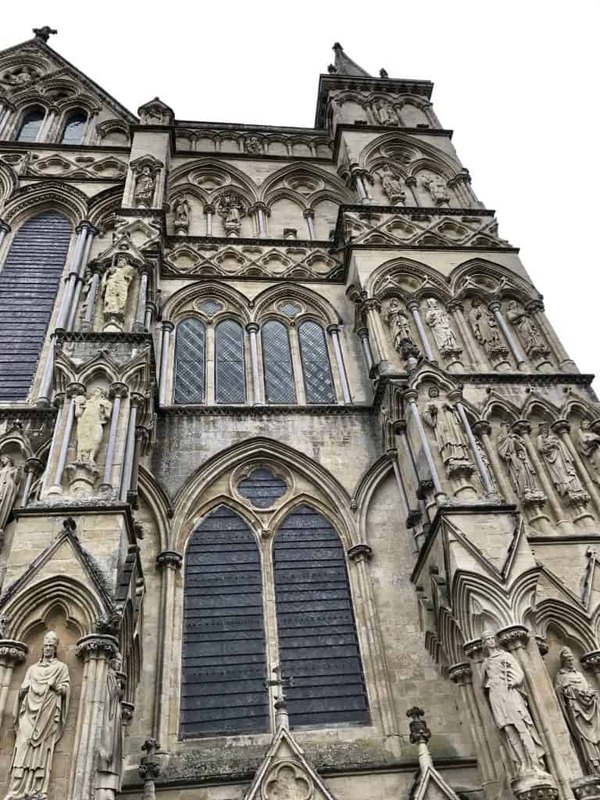 Salisbury Cathedral is also home to one of the four remaining pieces of the original Magna Carta (no, not the Jay-Z album, one of the first documents outlining citizens’ rights and claiming that even the king was subject to law. You can go in and see it, though the line was long and it was just in this tiny dark little tent, so we decided to skip it. 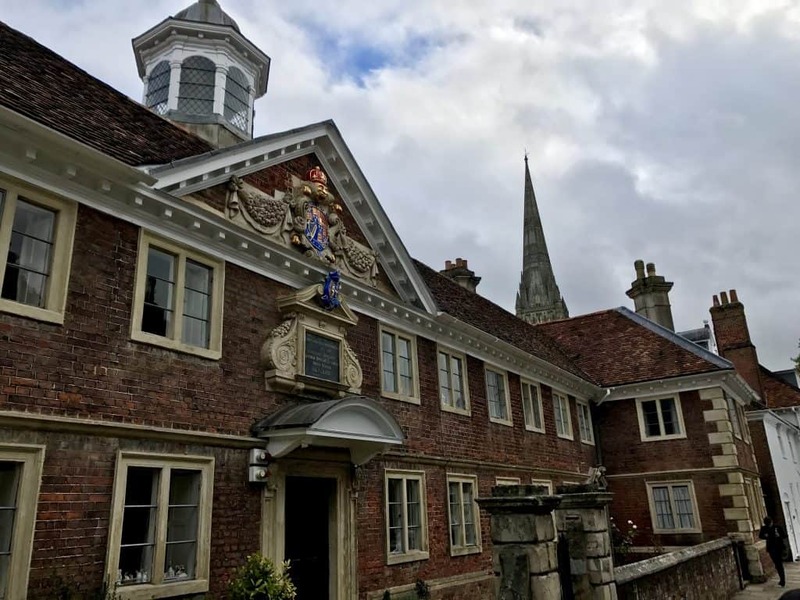 It also has the world’s oldest working clock, from 1386. 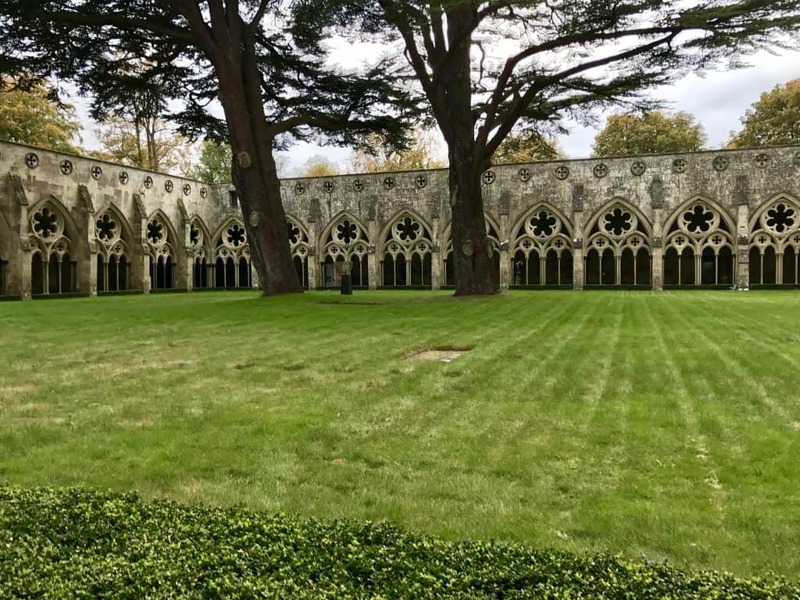 The cathedral and grounds are absolutely beautiful, with bright green grass and plenty of trees for shade. 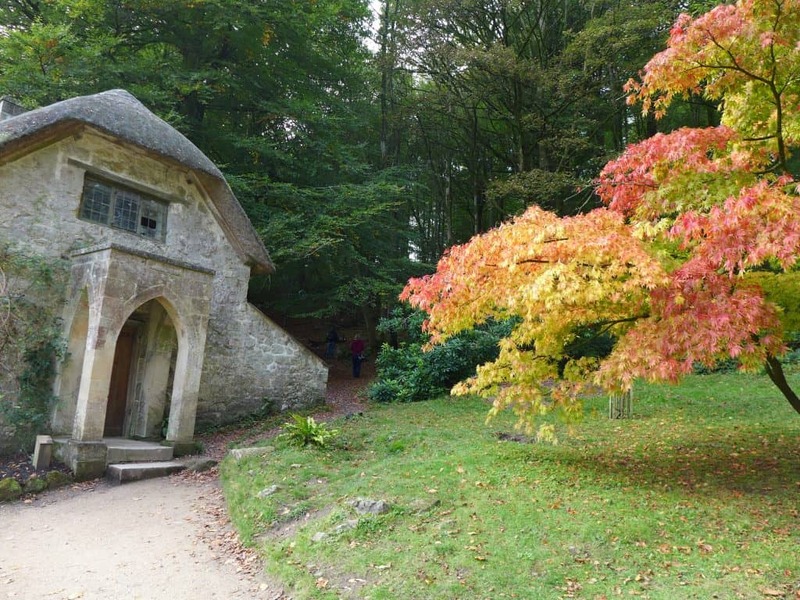 We were there in the fall, so the leaves changing colors added to the ambiance. 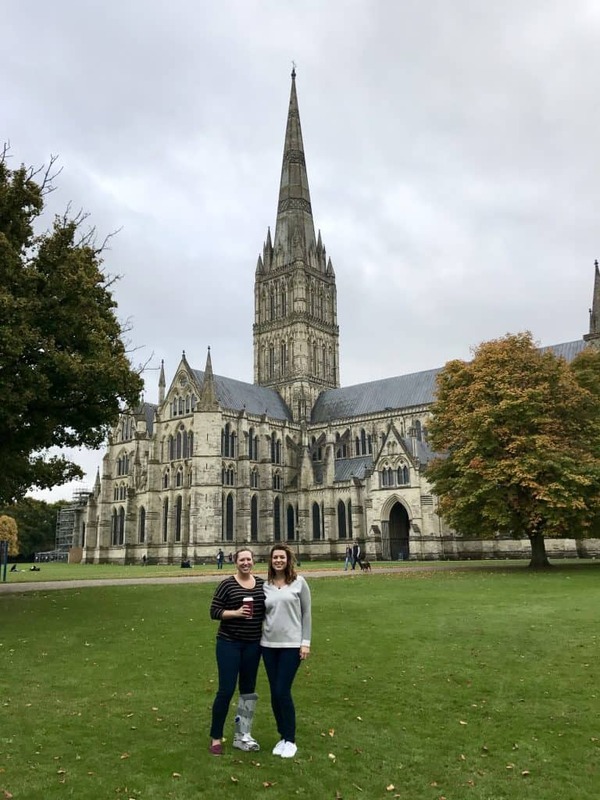 One thing you can do if you have time and are up for it is the Tower Tour—ascending the 332 steps to see how they built the famous spire, and get an awesome view of Salisbury. You might even get lucky and hear the bells ring inside the tower. We didn’t do this (both due to time and the fact that 332 steps might have killed me at that point in our trip, with my walking cast), but definitely look into it. You can see opening times, prices, and such at the official website. I’m always so fascinated by the intricacy of the Gothic facades. 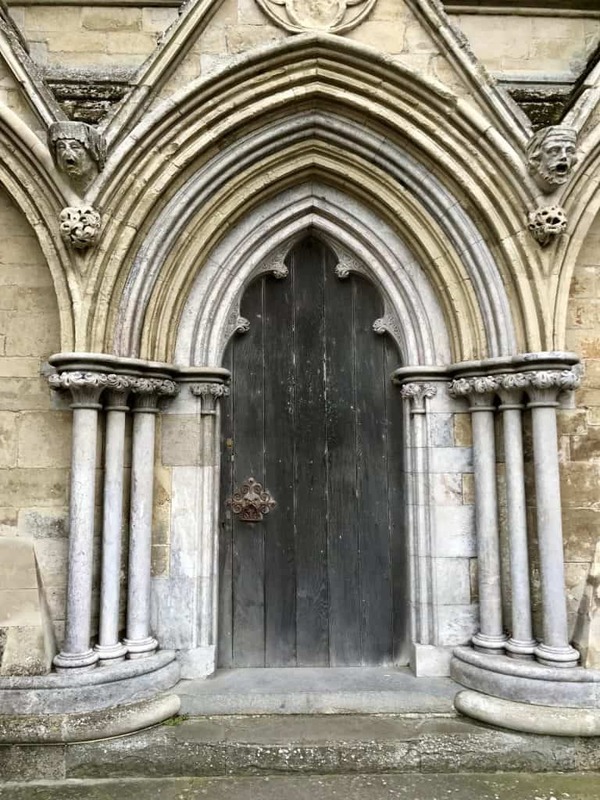 The style of Salisbury’s cathedral is Early English Gothic (who knew that was a thing?? ), and it has all the super carved madonnas, bishops (or popes? ), apostles, saints, gargoyles, and probably other random peeps that you’d expect. Quite impressive. But alas, we had to hit the road again. 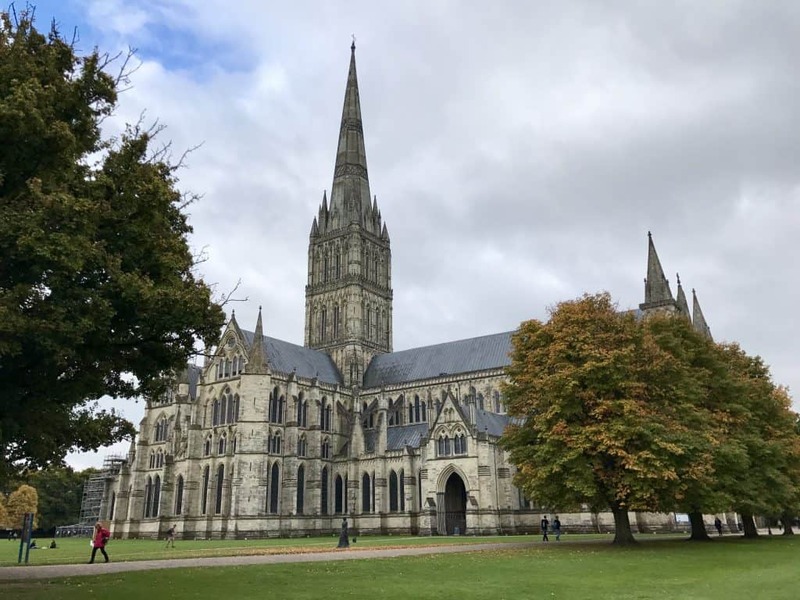 If you have more time in Salisbury, there are quite a few historical buildings and such, but you could also go up to Old Sarum, where the original site of Salisbury and Salisbury Cathedral were before they both moved down the hill in the 1300s. 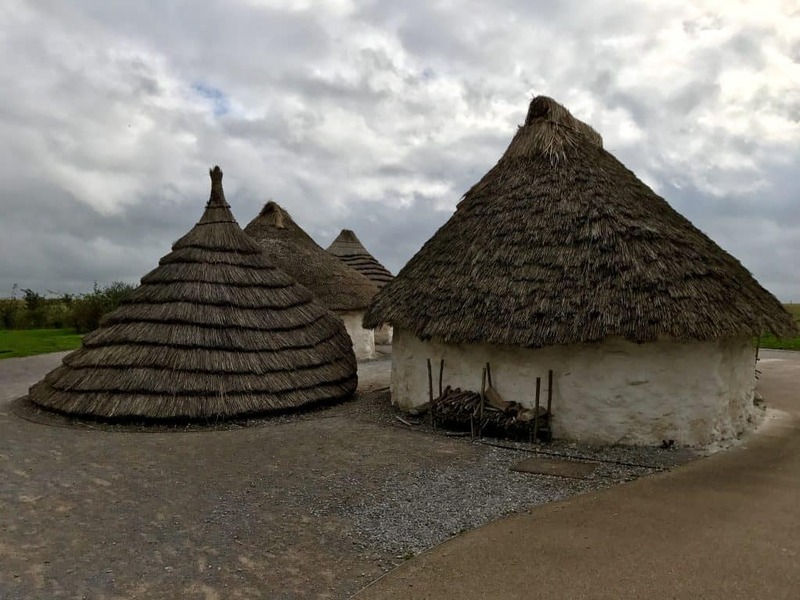 It was originally an Iron Age hill fort, so there are over 2000 years of history spanning Roman, Norman, and Saxon cultures. So, the next stop we kind of did out of order. 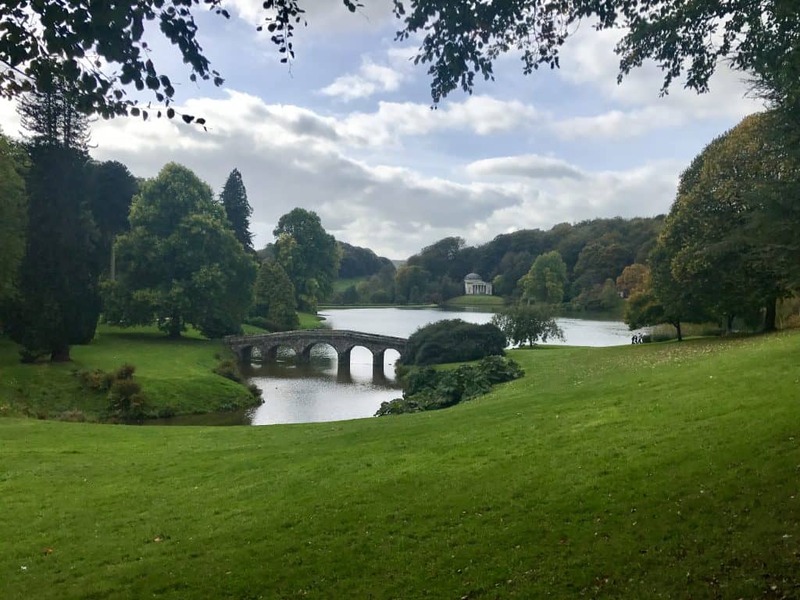 I’d planned to visit Stourhead on our way back from Bath to London, but we ended up accidentally stopping there on our first day, driving from London down to Cornwall. I always want to shout AKA PEMBERLY!!! 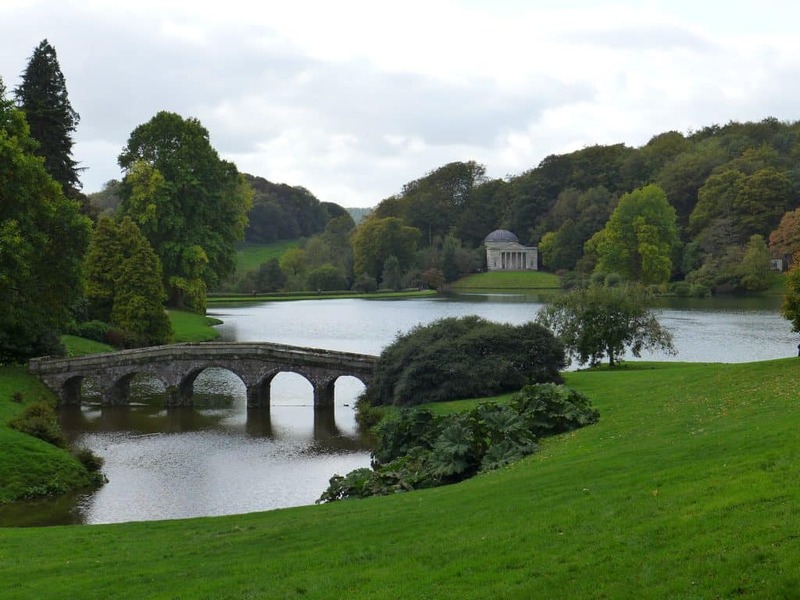 after this, but keep having to remind myself that it’s not Pemberley…but you might recognize it as where they where they filmed the crucial first Darcy proposal scene in the rain in the 2005 “Pride & Prejudice” (the Keira Knightley version). 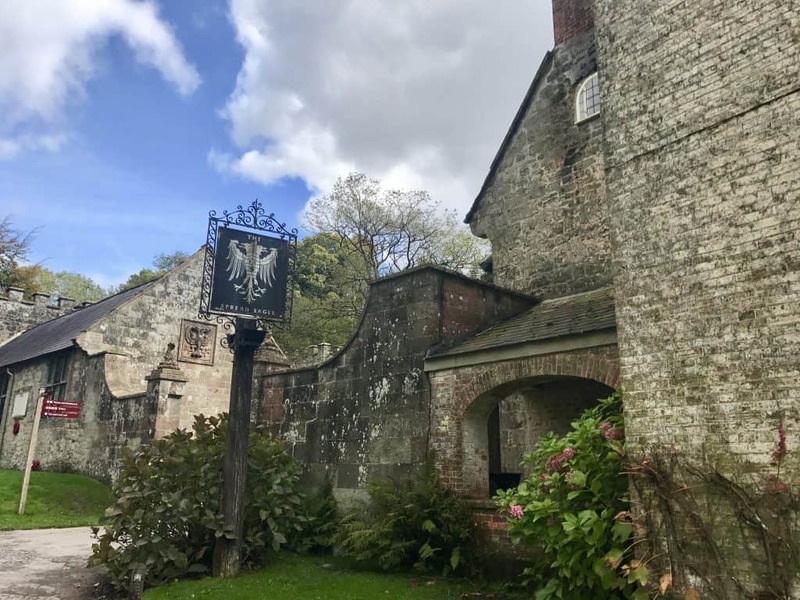 It’s a bit of a walk from the parking to the main gardens, through a little residential lane and past the Spread Eagle and a medieval-like wall that blocks it. I’ve tried Googling the background of this odd little enclosure but haven’t found out much. 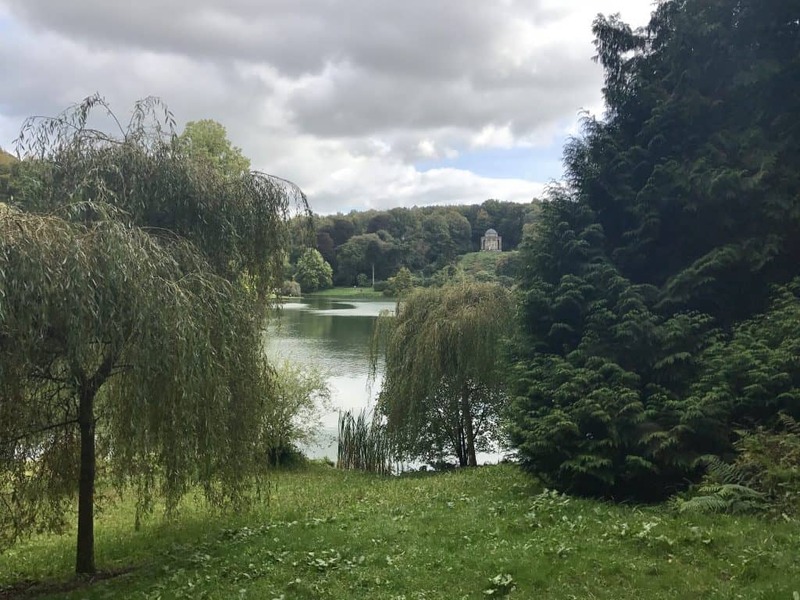 Even on a cloudy day like we had, the gardens at Stourhead are gorgeous and huge. 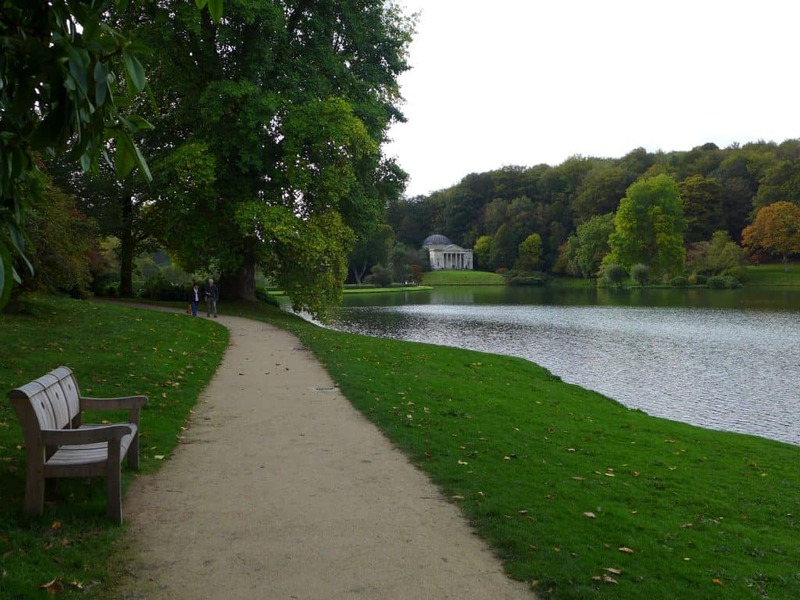 Trees and an easy walking path ring the beautiful lake, with magical grottoes and classical temples dotting the landscape. 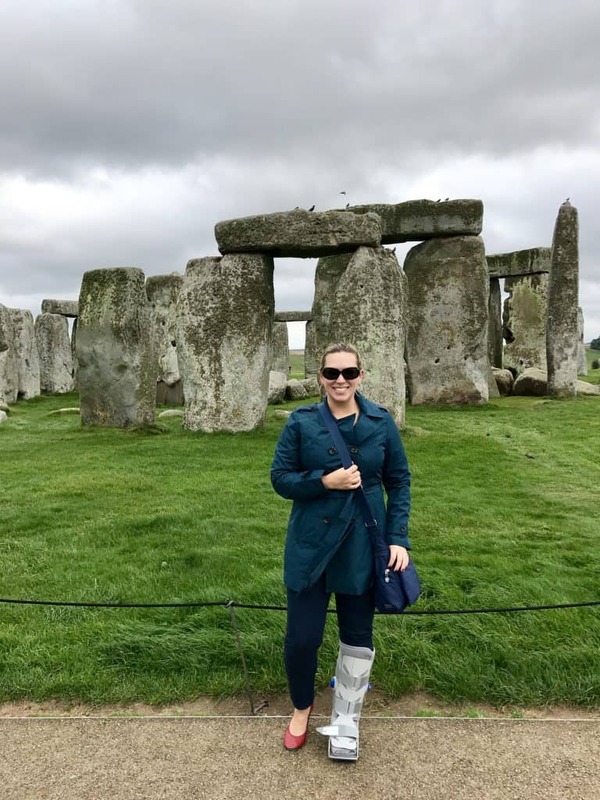 It’s a very easy walk unless you’re in a walking cast, and then you question all your life choices. They do have a little golf cart that can drive mobility-challenged people around in, but we didn’t have time to wait and we’d been sitting for hours and hours so a walk wasn’t the worst thing in the world. 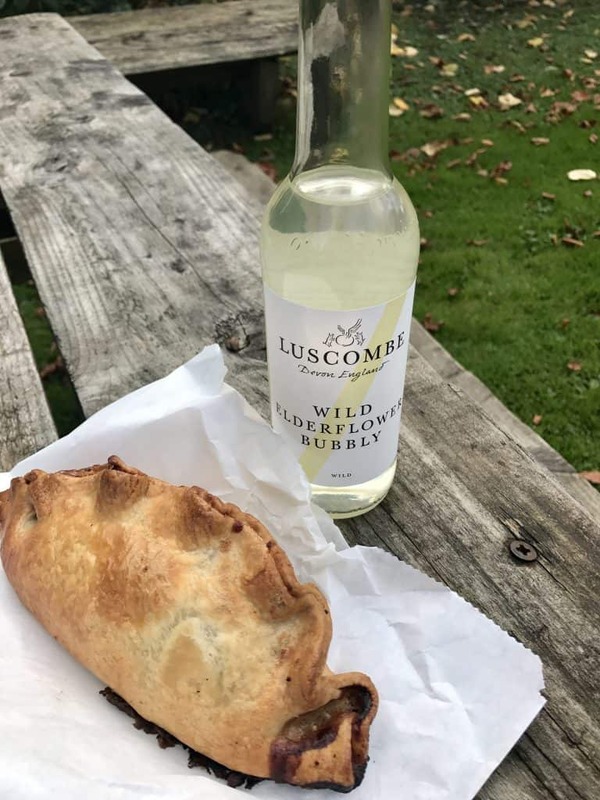 Make sure to stop by the little farm shop at the entrance to the estate and grab a pasty and drink, and maybe some of the delicious fresh local cheese that’s for sale. We got some of the most amazing goats cheese that I’ve ever had in my life! You can learn more about opening times, ticket prices, and the like here. So there you have a jam-packed but totally doable day trip from London or Bath (or anywhere else in the area), or driving between them.